The $1 billion approved to fight insurgency and other security challenges has not been released to the military, Nigerian army claimed yesterday. The cash was approved in 2017 for the President Muhammadu Buhari by the National Economic Council (NEC) to be withdrawn from the Excess Crude Account (ECA) to strengthen the fight against insurgency. Fielding questions on Nigerian Television Authority (NTA) Weekend File programme, army spokesman Brig.-Gen. Sani Usman, said the money is still being processed. He said: “People should understand also that this is a democratic system in which procurement and of course funding of defense related issues takes such a long time. In April, Garba Shehu, presidential spokesman, said the President’s approval was not final because a draft bill would have to be sent to the National Assembly for consideration. 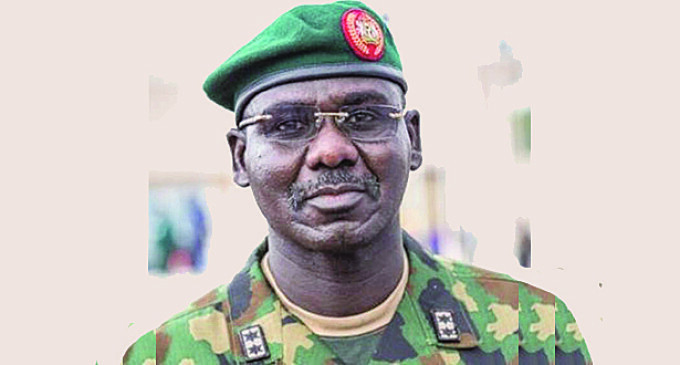 Brig.-Gen. Usman, however, said that at the moment, what the armed forces have and what have been procured over the last two to three years is being used judiciously. The strings of Boko Haram attacks on military formations in the northeast have been blamed on the dearth of sufficient equipment. His words: “So sad and unfortunate that our troops came under enemy attack on the 18th of last month and we suffered causality as we mentioned. Sadly, we lost 23 gallant officers and men and of course some of them sustained injuries. He described the visits of Chief of Army Staff (COAS) Lt.-Gen. Tukur Buratai and the hierarchy of the army to military formations as part of efforts to reverse the trend.